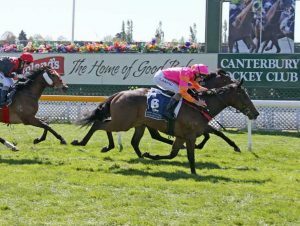 Jamie Richards has enjoyed a strong start to his solo training career and the head trainer for the powerful Te Akau Racing operation saddled a further two winners and three placegetters at Riccarton on Tuesday. Richards, who until this season trained in partnership with Stephen Autridge, has sent out 22 winners already this term. Our Flying Ace made it two wins from two starts when successful in the Inglewood Stud Guineas Trial (1400m) by a neck from Fire Show, with Emily Margaret a length away in third in what was a sedately run race. “I think he’s an improving horse and he will come on again for that win,” Richards said. Earlier on the program Richards saddled the first two past the post in the Nobby Bussell Memorial Two Year Old (800m), with Fastnet Rock filly Puysegur just edging stablemate Challa. Puysegur is a three-quarter sister to the stable’s star three-year-old Avantage, who also won the corresponding race on debut last year. 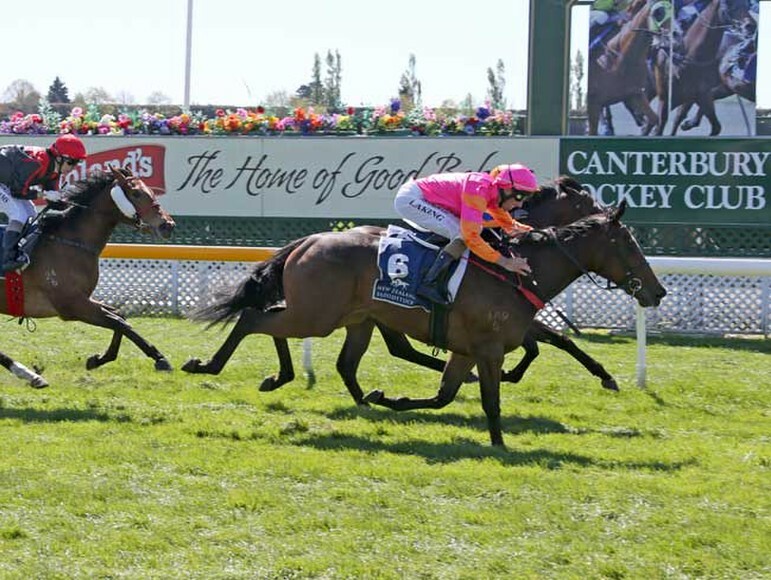 Puysegur is raced by her South Island breeders Willie and Karen Calder. “She’s very much like Avantage, but a slightly bigger version and hopefully she can be half as good,” Willie Calder said.